In some cases you want your users to start all send outs from a specific workflow, maybe your CRM. You may want this in order to follow the send out workflow and save the signed copy automatically to a specific record in the CRM. 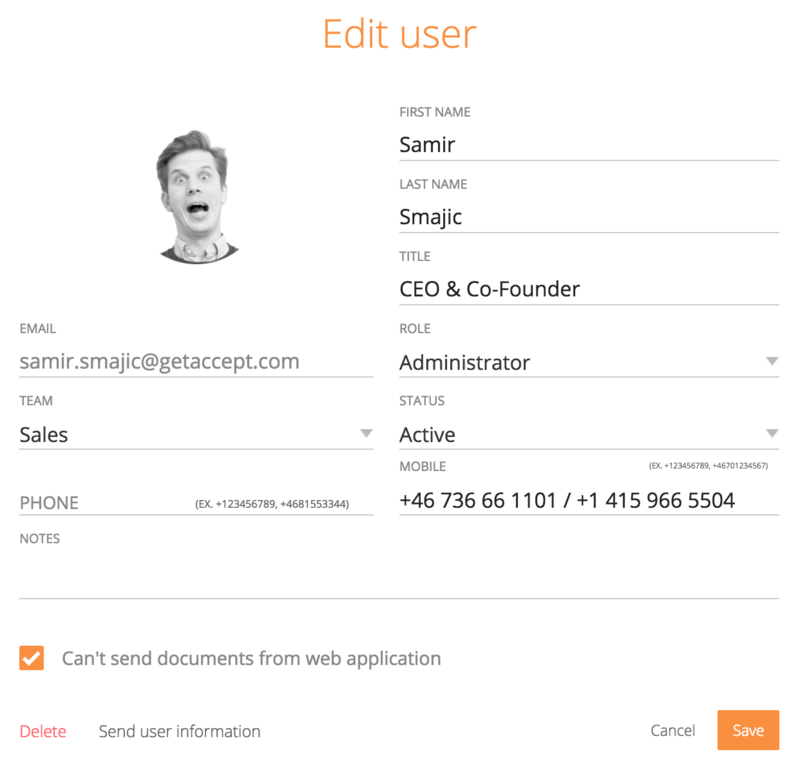 This is why you can disable your users to start the send out workflow from app.getaccept.com. Open each users and check the checkbox "Can't send documents from web application"